Susan Stobbart Shapiro has joined the Chesapeake Regional Tech Council's Ambassador Committee. CRTC Ambassadors are responsible for recruiting, involving and retaining CRTC members. 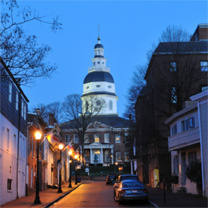 Founded in 1992, the CRTC provides a forum designed to further economic development in the Chesapeake region through the support of innovation and commercialization of advanced technologies. The organization attracts new technology companies to the region and helps emerging technology companies grow and prosper in this increasingly dynamic environment. CRTC does this by serving as a resource that meets technology companies' business, education and networking needs. CRTC also helps enhance public understanding of technology-related issues. Susan has spoken to CRTC forums, on several occasions, regarding the intersection of business and employment law and technology. To learn more go to chesapeaketech.org.